Fleets at the forefront of green innovation have just one month left to enter for this year’s Fleet Hero Awards. Applications are open until 20 September, but will be considered on a rolling basis so fleets are encouraged to apply as early as possible to enable the EST to get in touch if further details are required. 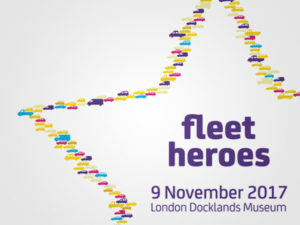 The winners will be presented with their awards on 9 November at the London Docklands Museum, preceded by the EST’s conference in the afternoon, which covers the latest developments in fleet sustainability, air quality management, low-emission vehicles and more. For more details and to enter, visit the website.